In July, I finally got a chance to visit one of the most beautiful and unforgiving places of Himachal Pradesh on my trip to Sach Pass – Pangi Valley. Today I will be sharing the most common itinerary which you can plan to visit this beautiful part of Himachal Pradesh but yet quite unforgiving and full of adventures. As usual, this article is the first step towards the comprehensive travel guide for Sach Pass and Pangi Valley which I will be publishing as a series of articles in weeks to come. The second one is how to make a trip to Sach Pass in 4-5 days. Spend couple of days at Killar to explore the beautiful villages in Pangi Valley around Killar are Dharwas, Luj, Sural, Hundan, Findroo, Findar, Mindhal, Parmar, etc.. to name a few. The entire Pangi Valley offer many picturesque villages and there is a PWD rest house in Cherry where you can stay in peace too along with hotels or guest houses in Killar. About 4 – 5 Hrs of drive in the day to reach Manali. Mandi is another 3 Hrs from Manali. A good itinerary for Sach pass. I was in Pangi valley this spring, but entered through Keylong and exited to Kishtwar. The sach pass was closed that time. 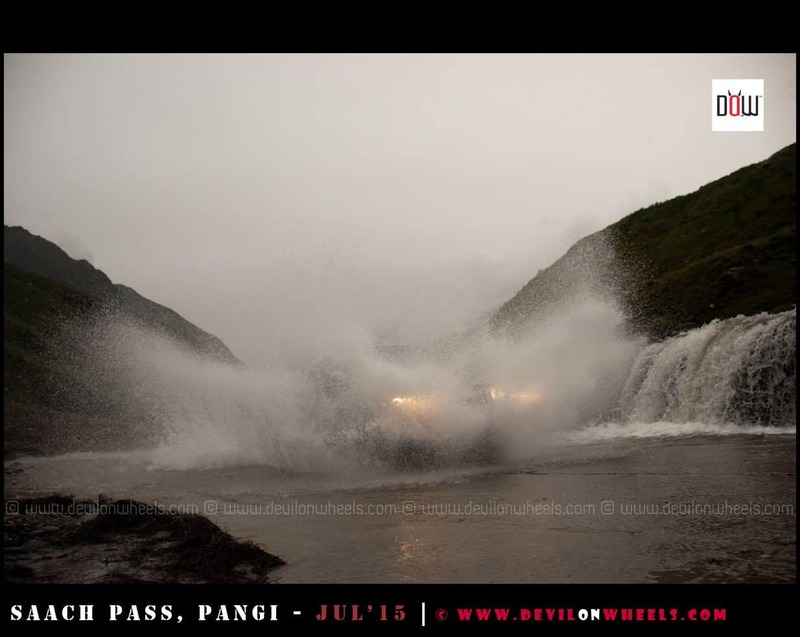 Any current updates about the roads to Sach Pass and Pangi in general due to the incessant rainfall in HP. We are leaving from Ahmedabad on 13th and will reach Chamba around 16th-17th. Any updates will be very helpful. Many thanks! Is it possible to do killar to manali in one day on a bike? how much time it will take approximately? 1. manali to somewhere beyond joginder nagar. Mostly at bir. Dont want to go away from the main road towards dalhousie. Does that sound a good plan? is staying at bir and banikhet is good comfort and cost wise? I saw some itineraries staying at dharmshala and chajjar. Are those better places to stay ? We dont have them in the plan as it is a detour. So whatever google maps show shortest route, we will be taking that. Please suggest if there is other route in better condition. We will be travelling in mid september. As I have asked earlier, we may try to do killar to manali in one day, only if there is a real emergency. Else we have plan to stay at keylong. Another question is, where are the bike mechanics/repair shops.puncture repairs available? mainly, from bairagarh to killar to keylong patch? do they have spare parts including tyre, tube etc? I did not find this info anywhere so asking. One more, is batt filling station for petrol, as shown on google maps, is operational always? Or sometimes it may be closed? Your plan is OK, better keep it that way only. It is just that Bakikhet and Bairagarh are not too much apart. May be you can make it to Bairagarh and save a day for you. Even if you keep it this way, the advantage you will get is you will start for Killar from Bairagarh without much fatigue, hence I say it is good to keep this way as you have days at hand. Mid September is a good time to travel too. There wont be any mechanics once you leave Bairagarh, may be at Bogotu Nalla you will find some but not anywhere else till you reach Killar. Then between Killar and Keylong, I see you might get someone at Purthi (might) and Udaipur. We did this sach pass trip successfully from 15 sep to 23 sep. Itinerary was manali, bir billing, tissa via khajjiar lake, killar, killar, keylong, manali. We started late from killar around 10, and reached keylong by 5 pm, doing trilokinath in between. Had we started very early, around 5.30, we could have travelled upto manali in same day. But as you had said, it would have been very hectic ride. Thanks for your guidance. Your live guidance for Pangi is so enchanting. Sir, can I plan for Pangi in Mid April or early May? Please give me the information & important contact No. related to this tour. Mid April and May is not possible for making a trip to Pangi Valley as Sach Pass is not yet open and so as Rohtang Pass and other roads leading to Pangi Valley from Keylong, especially in April. You may make the trip from June to October time period though. Very helpful article. We are planning to go Pangi Valley on September 1st week. We want to start the tour from Dalhousie and ends on Manali. We want to cover Sach Pass, Killer and all the major locations. Can you please advise me is this plan possible in 5days? Also where should i book the car for the whole tour. Is it from Dalhousie? Please advise. Thank you so much for your reply. Actually we have already visited Chandra taal. So can we go direct Manali from Udaipur? Also please advise how much cab will take for entire tour? Planning a tour in Pangi Valley during Sept. Below is a tentative schedule. Tuesday 4th Sept – Visiting Mani Mahesh by Helicopter. Night stay at Bharmour. Saturday 8th Sept – Keylong sight seeing [2-3 monasteries during first half] then travel up to Kullu. Night stay at Kullu. Sunday – Fly back from Kullu. Request you to share your views on this plan. 1. Is the plan seems OK? 2. Which car is preferable? Xylo or Innova? 3. Is 1 day sight seeing is OK for Killar or should we have more days for this? Your plan seems OK Bhaskar, just add a day for more at Killar to relax and enjoy the beauty of Pangi Valley as well as add a day for contingency as a buffer. I will go with Xylo instead of Innova as it can make out of water crossing easier than Innova. 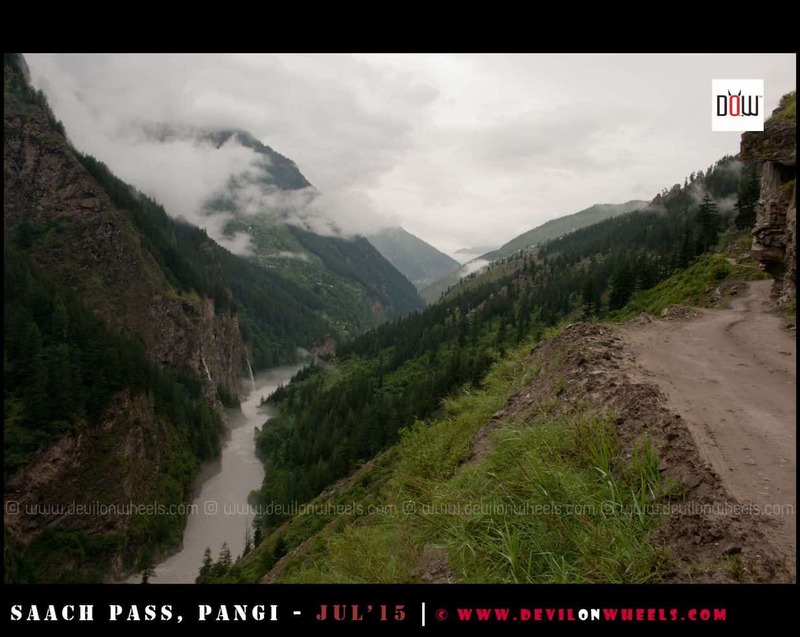 Request you to recommend drivers with xylo for our pangi valley – Sach pass tour. This will be very helpful for us. Your tour programme for Pangi is a live encyclopedia & can help any body to explore the virgin place. I am very grateful to you if you give some phone numbers who can help us to conduct such tour tension free. It means it may the Ph. No. of any reliable travel agent or car services or who can I book the PWD/FRH at Killar or Sural or any other reliable person. Thank you sir, unfortunately, I do not have any contact numbers of such locals. I have contacted one I know but waiting for his revert back and as soon as I have a reply and he has the phone numbers, will share with you. Mohit, Killar – Kishtwar is in comparison bad than Killar – Keylong – Khoksar. Thanks for a quick reply!! I saw videos on youtube and feels that the road is much more tougher on the kishtwar side. On this Killar-Kishtwar route, are there any places for basic reapirs etc. Also, is it possible to do Killar-patnitop in one day. I am planning to do Delhi-Dalhousie-Killar-Kishtwar-Delhi circut starting this saturday. What are your suggestions, should we go to keylong instead of kishtwar? Ihave a 4wd Safari Storme. Any comments will be appreciated. There won’t be any repair shops till Kishtwar, may be one at Gulabgarh but not sure. Also, Killar to Patnitop will be too long a day. I will say it all depends on what circuit you opt to do. Car wise you will not have any issues on either of them. You can leave the Killar – Keylong for some other time in such a case. Hi m planning trip from Jammu kishtwar to sach pass and Dalhousie in September. Is there any petrol pumps from Kihtwar to sach pass. Hi Dheeraj, do you have some knowledhe of the Doda to Chamba road via Bhaderwah? Does this look fine to you for mid september? Yes, the route goes like Kishtwar – Banderwah – Padri Pass – Chamera Lake – Chamba. Needs your guidance for bike tour from 12 August to 16 August 2017 from Faridkot, Pathankot, Kishtwar, Killar, Khoksar, Tirthan Valley and back. Why to do Khoksar – Tirthan Valley? Why not Sach Pass. you can do Killar – Sach Pass – Bairagarh, then cover Dalhousie, Chamba and return home? Cool Sandeep, then in that case your plan looks fine to me. Is the car and time is good for that terrain ? and Is the plan ok ? my husband is planning solo backpacking trip on this route. would really appreciate your valuable inputs. 2) day-2 by morning Chamba. 1) is this doable ?? 2) he wants to do it in MID AUGUST(starting from 12th August’17) as he’ll get long weekend to help him with leaves. is it risky ? monsoon wise? 3) he wants to do it with public transport or shared cabs. shared cabs are available from Chamba? or from Keylong to Manali? 1. Yes, the plan of Sach Pass is doable. 2. Well, plan some buffer days as it is monsoon time and he will surely face monsoon hassles. 3. Yes, shared cabs will be available from Chamba to Bairagarh/Killar. There is a HRTC bus as well that runs from Chamba to Killar and Killar to Keylong and Keylong to Manali. 1. 10 days will be a bit short to enjoy the long journey at ease. 2. It is difficult to suggest but yes the Chamba taxi guys will be much better than Delhi one as he will be knowing the Sach Pass route better. 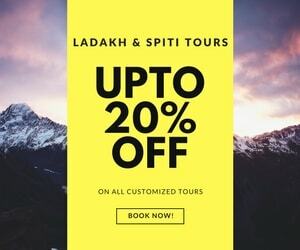 However, Spiti is different game, so best will be to use him till Keylong and then hire another Keylong taxi or ask a Spiti taxi for a pickup at Keylong to be one safe side. 3. If you have never been to such a trip, I will recommend skipping Sach Pass and focusing on just Spiti and Kinnaur Valley this time in 10 days at hand. It is safer in comparison. I am following your itinerary for sachpass. From keylong will go to Manali Leh road till Moore plain. From there will return back to Manali as I want to see baralacha la pass. I started from Delhi on 14july with my friends. XUV we choose for this trip. I have some doubts regarding sach pass. July is the rainy season. Would it be safe to go on those roads. As monsoon hit the mountains in July. I am confused. Not scared. If you want to see Baralacha LA pass, there is no need to go to Moore Plains, you can just go to Sarchu stay overnight and return back the next day to Manali. Regarding July, Sach PAss opens by late June only so July window is the only time to start traveling to Sach PAss. We also went to Sach PAss in the same time window and yes there were rains but that was a chance we took. More or less it was good experience. but we want to go till moore plains.. 🙂 i will ask you status and conditions of the sach pass before i will start my journy. arounf 14th of july. i am taking rented self drive vehicle. hope they allow rented commercial vehicle there. thank you so much dheeraj. karenesh, there is no issue in making the trip to Sach Pass on a rented vehicle. Hello brother I read all ur comments…It’s very helpful .I want to know what is the best time to visit Sach pass.In ur comments I see uh r saying it’s mid July but uh don’t think so it’s impossible to go there specially for bullet riders . Because in July there is monsoon and there is chances of land slides and overflow of nallahs. Don’t uh think early June is the best time for bike riders. And please tell me is there any chances for camping near Sach pass. And if there is any chances then can we go for camping without any fear from wild animals at night .? Akshay, the roads to sach Pass mostly opens in general around end of June only and hence up to mid July when rains are not that in glory is good time to visit. Otherwise, September is a good time to visit Sach Pass with roads/nallas settled. planning to do sach pass in the last week of june..
what about the fuel availability on this route? heard there is no bunk after banikhet till anantnag..
please enlighten me sir..and will sach pass will be open by last week of june right? There is one fuel pump at Bhadram and Manjir. Bhadram is about 40 KMs from Banikhet towards Sach Pass and Manjir is ahead of it about 28 KMs. Then there is a fuel pump at Churah about 8 KMs ahead of Tissa that opened last year. Then, there is one at Kishtwar and maybe there is one at Gulabhgarh too though not sure about it. Sach pass might open end of June or early July. But do you see any challenge of the road opening between Udaipur and Killar. That stretch is fairly easy and less snow prone compared to Sach pass. Right ? Is that road open now Udaipur to Killar ? Yes that is why may be except the ferocious Madgran nalla, I have not heard that Killar – Udaipur route is closed. Hi Dheeraj, can we make this tour in mid October ? Yes, Suman, nowadays due to delayed snowfall people do Sach Pass trips in October as well. The early in October you will go the better and safe it will be. Also, do check weather updates before leaving for Sach Pass during that time. When does the road from Udaipur to Killar open generally every year ? Jun 1st week, 2nd week or mid june ? Does this road open before Manali Leh opens or after ? What’s the status at this moment ? Is it open right now from Udaipur to Killar ? I hope we don’t need permission to cross Rohtang Pass if I come from Leh to Manali. Is that right ? No Nilavra, you do not need any permission to cross Rohtang Pass if you are coming from Leh side. Udaipur to Killar road, I am not sure when in general it opens but by the time Sach opens it is usually open. 2. Sach Pass is beyond Killar towards Chamba – Bairagarh. So, you are not doing Sach Pass here. Day 11: Manali – Delhi. we are planning this year 4th june to 11th june..
is that road will be open that time. if not then what wud be expected dates ? Sach Pass opens by end of June or early July, so better plan the trip during those dates. we want to do it Pathankot-bairagarh-killar-kishtwar-patnitop-pathankot…by RE.dont want to go towards Manali-Tandi-Keylong…as its donw thriice…. day-1. We are A’bad based..so will cargo bikes to Pathankot…Pathankot to Bairagarh…186…doable in one day?night stay at Bairagarh. day-2. D – day right?..Bairagahr to sach pass 60km…and sach passs to Killar 40 which comes 100 km ride on D-day now as u and all says Sach pass is “bap of all passes”…can we do this 100 km in one day?VDO breaks, photo brekas will be plenty!!! We have riding experiance…We all did leh and lots of other rides.but we dont want to get in over confidence……Bairagarh to killaer doable in one day 12 hours (with sunlight)??? Day-3 Killar -kishtwar 118km…now this is a very narrow patch (seen many VDOs and it was scary) again the same question can this 118 km possible in one day…My sttirct rule is i avoid ridining in dark…??? Day-4 Kishwar to Patanitop..any idea about this roads?its again 122km doabale in one day? Day 5 Patani to Pathankot i think this is very much doable in one day 177 km…once in flat terrain we are fine with riding in dark..
What you think sir? possible? Pangi valley to Chamba via Sach pass – which way do you suggest ? Keylong to Udaipur to Killar to Chamba or the reverse. Which is better option ? If I reserve private car from manali and drop at Chamba for 4/5 days how much would it charge per day ? Heard that Killar to Chamba via sach pass is one of the dangerous roads in the world. Is that too bad road condition that it may not be doable ? How is the road condition from Udaipur to Killar. Is there any risk in this part of the road ? Yes indeed it is one of the most dangerous roads, Killar – Kishtwar another. Also, the road from Udaipur to Killar is not that easy too. If it rains, it can give nightmare too. There are many water crossings as well with Madgran being the deadly one. Thanks for your reply. Is the road from Udaipur to Killar open around Mid June ? If I plan to reserve a private car from Keylong is it availavble at Keylong. I am planning to return from Leh to manali by Share cab or HRTC bus(if it runs then) and get down at Keylong, then reserve a car at Keylong to explore pangi valley and then return Manali. Day 3 : Killar explore. Yes Udaipur to Killar should open by mid of June. Taxis will be available at Keylong. Looks good to me. I think taxi will cost you around 3000 per day on an average. 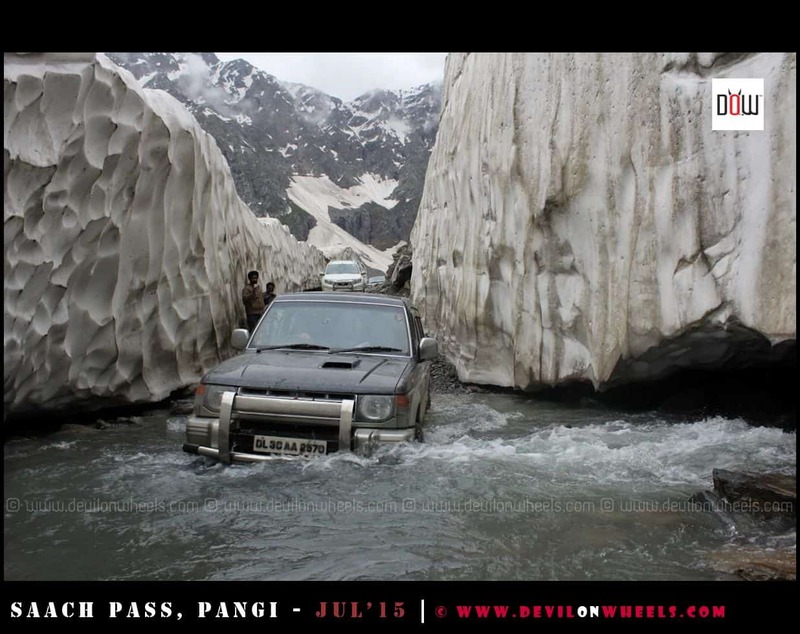 A quick query – is there any service provider (in terms of vehicle and accommodation) for Sach Pass & Pangi Valley tour? So that we can contact them and plan. Your reply will help us. No Amit, I am not aware of any tour and travel provider conducting tours for Sach Pass and Pangi Valley. However, you do not need any tour provider as all information you need is completely chalked out over DoW for making a successful trip to Sach Pass and Pangi Valley. Yes, you can make this trip on 2nd October to Sach Pass – Pangi Valley. Praveen, there is nothing between Sach Pass and Killar except one small dhabha at Bogotu Nalla. Yes Praveen, you can very well do the Darcha to Shingo La which is about 40 KMs from Darcha. Keylong – Darcha will take about 1-1.30 Hr. At Sissu, you can stay at Hotel Triveni. At Killar, there is hotel Raj and Hotel Chamunda. Hotel raj is a better option. Parashar Lake just has PWD and FRH guest houses. I am from meerut, we’ll be leaving in 1st week of september for chamba-sach pass-killer-manali-shimla-meerut on activa-125. Is this trip doable in 6-7 days? We are 4 people travelling in Ford Ecosport on 13th to 17th August. The itinerary is quite hectic. 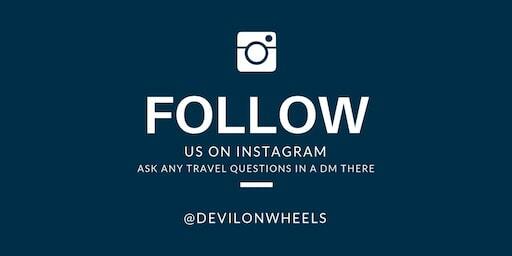 Please share your invaluable comments and suggestions for the itinerary and also, regarding road and weather conditions. Needless to say above is also quite enduring and long and in monsoons it will be real test of something for sure. Can you please enlighten us with the types of difficulties we’ll face if we try to reach Keylong/Tandi on Day 2 from Bairagarh. Karan, it is a long long route on some of the deadly, scary roads. The landslides are common and you get a speed of no more than 10-20 KMPH in most of the stretches. The late you reach near Madgran nalla the unlikely it becomes to cross it. It can swallow trucks ground clearance on its good day, so don’t under estimate it. Hence, what your are thinking of doing is very risky and I will not recommend it, plus you do not enjoy at all in that case. It is much better to split it up at Killar. Those are some worst roads in world 🙂 … We did Killar to Manali on our trip but then when we reached by evening to Tandi, we knew what lies ahead. It took about 15 Hrs for us to reach Manali from Killar. Are any permits required for visiting Kaurik and Chitkul? Does BSNL Prepaid works in Pangi and Spiti Valley? Are there homestays at Kibber? Chitkul does not require any permits. PErmits for Kaurik are not issued for civilians. There are many home stays in Kibber and yes BSNL prepaid works in PAngi and Spiti Valley wherever the signal is present. Is it possible to solo-ride Bairagarh [dep: 6 am]>Sach Pass>Killar>Kishtwar [arr: 6 pm] [176 km] in one day on my Thunderbird 500 in September second week? I assumed 15 kmph average speed including breaks. I will not suggest that, better break the journey at Killar and then do Killar to Kishtwar next day. It is not about the time, it will be more about taxing on body. Thanks a lot, Dheeraj Sharma. I will stay at Killar and ride the next day. Cool, best wishes for the trip. Will you guide us for tour program as per your experience. PS: Do check the weather updates before venturing into Pangi Valley in monsoons. Hardeep, that time is one of the best time to make a trip to Sach Pass with roads mostly stable and best in condition compared to rest of the season. I think you have got the reply. You can of course get a place to stay at Cherry too but best will be to reach Killar from Keylong. Not really, in general deeper tribal belts of Himalayas are safe to travel. Well, you have to rely upon the shared taxis in order to do this trip and buses. You can take a bus from Delhi to Chamba and then to Bairagarh from there. From Bairagarh you will get a shared taxi to Killar and from there Killar to Keylong, Keylong to Manali buses will be available. Keep in mind, it will be very tiring in 5 days as you will be on road only mostly. Hi, is it possible to cover Sach pass and Kunjum Pass and Chandratal during the end of September? We have a plan to visit Pangi valley and Lahoul and Spiti. Hope 17/18 days’ holiday is Ok for covering the route. Can u suggest a suitable itinerary. Thank u. We are planning for sachpass-keylong-leh in june(leaving delhi on 11th june). Is tht possible at tht time? Anup, there was an update from Bairagarh that road is expected top open by first week of June to Sach pass this year. Is it possible to cross Saach pass around 14th October ? If not in that case can we at least explore Pangi valley that time of the year ? I am not sure how long Pangi valley around Killar is accessible in the year ? Mid october is good time ? Yes, now a days it snows less but mind you you will surely be playing with some risk. Pangi Valley can surely be explored. can you please suggest place to stay at all plase u told to do night hold. we have 6 days from delhouise to delhouise . 6 days is ok for this trup ? Hardik, most of these places have Chamunda Guest House at Bairagarh and Killar which were quite fine to stay. Mostly the hotels/guest houses will be vacant so best thing is to travel there and find a good deal on the spot. Thanks for reply. We are planning to visit from 6th to 12th may. Is this time OK to visit? Can we include chandratall in this trip ? Hardik, that time will not be OK. Both Chandratal and Sach Pass will not be accessible during that time of the year. You need to plan around July somewhere mid or September to do Sach Pass and Chandratal. In case you do Chandratal then you have to exit from Manali side. Then what time u suggest for SACH pass. Plz post itinerary for killar-kishatwar route, thanks in advance..
Sure yogesh very soon. However, in case you want, you can reach Killar as mentioned above and then next day head to Kishtwar, from there you can reach Patnitop or Jammu next day and finally back home on third day from Killar. Is the drive possible in October end? No Manu, the roads will be closed or very risky tro travel to Sach Pass. It already has started getting snow. Hi, wonderful itenary and a daring trip you’ve covered, also the waterfall pics were amazing. Can dzire do this circuit? Or a SUV is reqd? Also, Is that reqd with 4×4? Best is that you take any high ground clearance vehicle. No 4×4 required. Thanks for all information.. Everything here was very useful. I just came back today from Sach Pass and it was great experience. I started from Delhi on 14th night towards Chamba. Staying in Chamba one night and next day 15th …6am we started towards Sachpass. Thanks God it was nice weather… No Rain… From Bairagarh onwards roads start getting worst and after Satrundi.. very bad. As soon as we arrived at Sach Pass the clouds were getting more closer to you… it was very beautiful… snow walls were also main attraction. After Sach Pass when you move downwards to Killar… the real adventure start. Roads getting worst.. we also got one land slide on the way.. but we crossed it.. thanks God. beside it was amazing, beautiful… lots of Nallah, Waterfall, that’s makes you really happy. We loved it. We stayed in Killar in Raj hotel.. was OK. not so much option for hotels.. I saw only three. on 16th we decided to stay here and went up to a village 18km away just on the top of Killar. It was really worth to go there…. you can go up with vehicle and then 1km walk to see one Pond at the top. stayed night at Killar. 17th Morning we started and this day was little raining . The road up to Udaipur was also in bad condition but better than before the Pawal Nallah was not tha. fl ooded . then after up to Keylong was good enough. over night in Tandi and next day to Manali after crossing Rohtang Pass in 8hrs That was hell. So in weeks time we did this amazing trip. I enjoyed it fully. Good experience. We took Ennova and Xylo. We cross it smoothly but Vehicle with high Ground Clearance are much better. Ennova not recommend. So guys be ready for next time… Whenever you have… Just go there.